With the announcement this week of the selection of a U.S. Trade Representative (USTR), President-elect Donald Trump has rounded out the top members of his trade team. The team includes two newly created positions, as well as, a new trade council. While all of the team members are expected to be involved in both trade negotiations and trade policies, the precise roles of the members have only been broadly outlined, raising concerns that they may overlap. This post considers the appointees and the new trade council. As the first member of his trade team, the President-elect selected Wilbur Ross as Secretary of Commerce in late November. Ross, a bankruptcy expert, currently serves as chairman and chief strategy officer for WL Ross & Co., an investment firm, which has restructured failing companies in the steel, coal and textile sectors. During the presidential campaign, Ross served as Trump’s top economic advisor on trade policy. 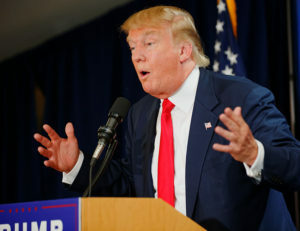 Like Trump, he has criticized trade agreements such as the North American Free Trade Agreement (NAFTA). The Commerce-designee is expected to play a key role in the development of trade policy in the new Administration, a role that previously has been carried out by the USTR. On January 3, the incoming President finally announced his choice for USTR, Robert Lighthizer, a deputy USTR during the Reagan Administration and former chief of staff for the Senate Finance Committee. Lighthizer is currently a partner at the Skadden law firm, where he has represented major U.S. steel companies and other domestic firms in numerous antidumping and countervailing duty cases over the past three decades. He is a strong supporter of protectionist policies and has criticized China’s use of unfair trade practices. Lighthizer is the only member of the new trade team with experience in government and trade negotiations. A third member of the President’s trade team will be Dr. Peter Navarro, an University of California-Irvine professor and Harvard Ph.D. economist, who will serve as Assistant to the President and Director of Trade and Industrial Policy, a new position in the White House. In naming Navarro, Trump’s transition team noted that he “has been instrumental in challenging the prevailing Washington orthodoxy on so-called free trade”. In September 2016, Professor Navarro and Commerce-designee Ross published an economic plan for the Trump campaign. The paper, “Scoring the Trump Economic Plan: Trade, Regulatory, & Energy Policy Impacts”, focused on America’s structural economic problems and set out solutions in the areas of trade, regulation and energy. Navarro will also head a newly created White House National Trade Council (NTC), which will advise the incoming President “on innovative strategies in trade negotiations” and coordinate with other agencies in assessing U.S. manufacturing capabilities and the defense industrial base. The NTC will also lead a “Buy America, Hire America program” that is intended “to ensure the President-elect’s promise is fulfilled in government procurement and projects ranging from infrastructure to national defense”. The new Council is the first White House council to focus on American manufacturing and American workers. The Trump team has not indicated how the NTC will work with the existing National Security Council, which in prior Administrations has played a role in the development of trade policy. Another Trump appointee who is expected to play a role in trade negotiations is Jason Greenblatt, the chief lawyer for the Trump Organization. The President-elect named him to a newly created position, Special Representative for International Negotiations. His portfolio will extend to trade negotiations, although the USTR is expected to be the principal negotiator of trade agreements. The Commerce and USTR designees are subject to confirmation by the Senate. Yet to be named members of the trade team include three USTR deputies, one of whom traditionally serves as the U.S. ambassador to the WTO, and an Under Secretary for International Trade at the Commerce Department.